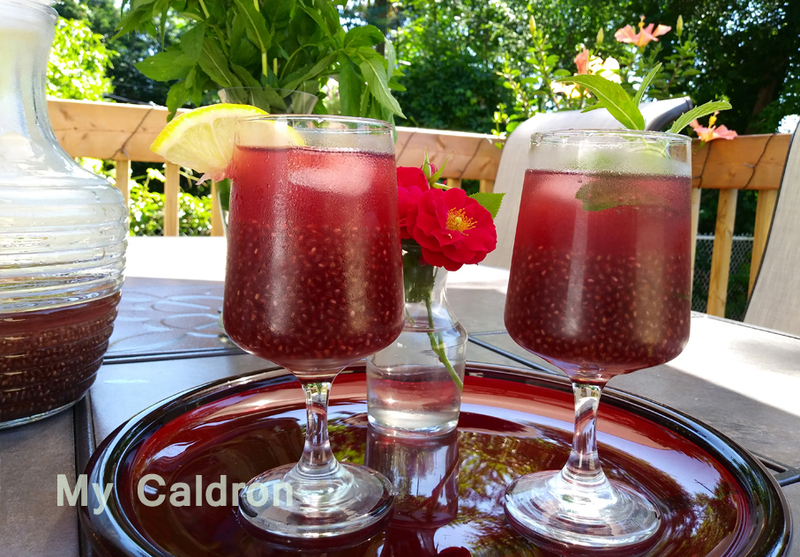 Give me a cool glass of Chia-berries mix any day of the year and I will gladly take 40 plus centigrade – like we have had in the past few days in Montreal! This is truly the ultimate summer drink – refreshing, nutritious, savory, pretty even and easy to make. 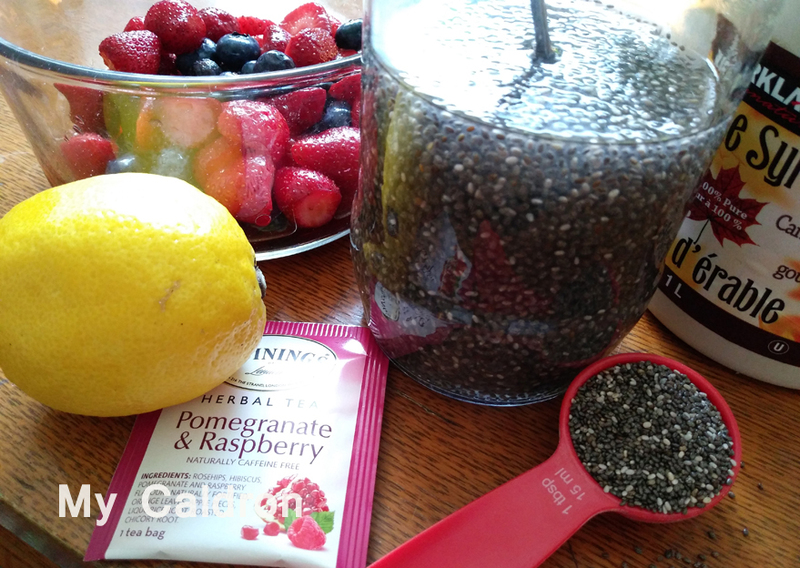 First off, you need to gel the chia seeds in order to fully benefit from its nutritional and flavorful value. So, place chia seeds in a pitcher container and mix it with boiled water. Stir well and let it cool. In an hour or so the seeds soak up the water, increase in volume and gel, so to speak. Next, steep your tea bags for half an hour then let cool. Add to the gelled chia. In a small pot mix whatever berries you have happened to purchase with ¼ cup of water and simmer for half an hour. Mash them in a fined meshed colander and extract the juice – 1/4 cup of juice will do. Add the extracted juice and maple syrup to the pitcher and stir. To serve: place ice cubes at the bottom of each glass. Pour chia mix drink in and garnish with mint and cut lemons. Stir well before drinking. Enjoy!